The 2017 Professionalism Symposium was presented by the Seventh Judicial Circuit's Professionalism Committee at Embry Riddle Aeronautical University in Daytona Beach, Florida on May 5, 2017. The Symposium was held in conjunction with Law Day, which was May 1st and was first commemorated in 1958 by President Dwight Eisenhower. Many bar associations now celebrate Law Week with an entire week of activities. 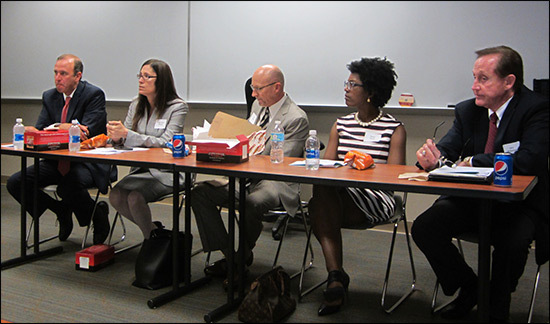 Approximately 125 participants attended this year's Symposium, which was chaired by Circuit Judge Sandra C. Upchurch. 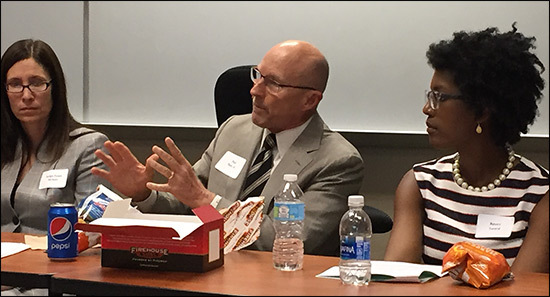 After some opening remarks by Circuit Judge Raul Zambrano, the participants broke out into separate family, civil, criminal and appellate law sessions. Mr Rice was a panelist for the two family law sessions. Ethical and professionalism issues were presented and discussed in each of the sessions, and then a summary of each break-out session was presented at the closing plenary session. Paul Rice has 33 years of legal experience and is board certified in marital and family law by the Florida Bar. He is the managing partner of the Rice Law Firm, which has seven lawyers and is located in Daytona Beach, Florida. If you have any questions about divorce or family law, Mr. Rice can be reached at 386-257-1222 or paulrice@ricelawflorida.com.